HOA Political Scene! Who Makes Scenery of the Political Tragicomedy in the HOA? Who Makes the HOA Political Scene? What HOA Political Scene is about? 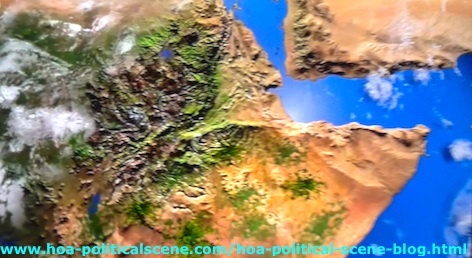 The HOA's Political Scene is simply about the political situations in the states of the Horn of Africa and some other states that have in common some political effects on the neighboring states in this regional area in Africa. 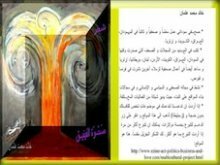 Arabic Readers: To read the Arabic political articles and other literary and cultural discourses in the HOA's Political Scene, please scroll to the second section of the page. Namely those countries are Chad and some other states in the Great Lakes region, which includes Burundi, Democratic Republic of Congo (DRC), Kenya, Rwanda, Tanzania and Uganda. As you may know Lake Victoria is the second largest freshwater lake in the world bordering three countries and Lake Tanganyika is the second largest lake in volume and deepest in the world. Tanzania was once Tanganyika, until it was integrated with Zanzibar in 1964 to become Tanzania. The Horn of Africa consists geographically, as it is well known, of the following countries: Djibouti, Eritrea, Ethiopia, Somalia and Sudan. Just those states, as they are at the curve of the northeast Africa that overlooks the Arabian Peninsula and the Indian Ocean. However, Kenya is just an extension to the political map, which includes Uganda too, to form the Intergovernmental Authority on Development (IGAD). The regional organization focuses on some initiatives to control the draught and the development of the area. Preceded ambitions before the late mad Ethio-Eritrean wars have indicated possibilities to spread to form an East African Block! Now the framework of the HOA Political Scene establishes the call to confederation to form the United States of the Horn of Africa (USHA). Almost all of the pages in the HOA Political Scene are focused on the political events. That was the goal when we started this political website to bring you the political tragedy in the political stories we all read, see and then observe from a perspective that not everybody has. So, at the HOA's Political Scene, we make the news absorbed through political analyses. We publish news from the Horn of Africa at the same time whenever that's necessary in addition to researches and political analyses to the crises and the political development in the Horn of Africa. Researchers can use the huge volume of information, researches and political analyses we publish here on the Horn Africa's Network to help them in their researches. College students engaging in high political studies can use the HOA Political Scene to help them in their political studies and assignments while preparing for bachelor degrees in some colleges of political sciences. And you are of course welcome to read, and after that please do write your political views. If you couldn't at the time, bookmark the HOA Political Scene (add it to your favorites) to do that later. But, for now, pin the pictures, like it, or tweet it using the small buttons you see on this pages. Thanks. You may find this website the toughest website in politics. 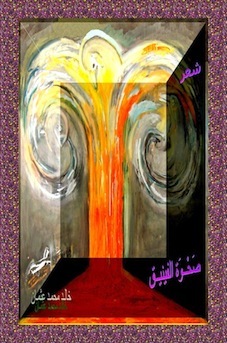 So, I at the head of the staff take your pardon; I really do not have any tolerance towards those religious military dictators who make Political Tragicomedy in Sudan, as I do not have tolerance towards what we call the mechanical majority dictatorship of the Sudanese Sectarian Parties. The lessons we learned from their ruling experiences through long years prove that they don't have the solution needed for the political problems in Sudan in particular and the other ruling elites in the other states in the area don't have good solutions to the problems of their countries, either. We know at the HOA Political Scene that we'll never build well civilized and modern states, unless we educate the people and clean their brains from the dirts of sectarianism and false revolutionary fronts. If they thought that they have rights to live then why they confiscate the rights of others to refuse the religious state and the political Islam? From this point, if they have rights to live, then they should abandon politics to breach what they want to breach. The state is for all. But, we breach the modern civilized state until death, because we simply believe here at the HOA Political Scene that the state is a secular concept. Religions go to where religions belong. The state as a secular concept is an environment of integrity to many varied cultures, beliefs and ethnicities. Despite this simple understanding to the political nature of the modern state, unfortunately, the sectarian parties and false revolutionary groups work from different perspectives to dominate and impose their rules for the sake of their political and economical interests. They simply deny and confiscate the rights of others to express what they want to express and to work to achieve the modern states they want. They lack the political inspiration we need to build modern states. Not only that, but they force the nationals to quit their beliefs by imprisoning and torturing them. They even neuter men and castrate women depriving them from emotional and intellectual vitalities. I call all sincere activists who have positive social goals concerning any state in the Horn of Africa to join the Horn of Africa's network here at the USHA Framework. The framework of this network is socialist. However, if you don't have any political concerns, you can read, comment and write about some beautiful places in the HOA at Any Beautiful City, Gondar and Kordofan. You can also read about political movies and watch some movies at TVCinemaApp.com/tv-cinema-app-blog.html. The Horn of Africa's Political Scene is hot political environment yet. It is still a region, where regional complexity dominates the area. The ruling elites who came to power either through false elections or false revolutions keep concentrating on personal and partial achievements to maintain their power from decade to decade. So, it is obvious that the Political Scene in the Horn of Africa takes all the political topics in the states of IGAD. We consider that the late news are very important to know the political development in the Horn of Africa and then get the needed political sense from the political analyses on this network. In addition, the great sum of political analyses in some columns highlight the political situations, complicated they are or clear. They have in common that political sense you need to make a decision and then follow the social goals of this network and be creative to provide your own social ideas to maintain this network, get many friends and be important activist, instead of getting to other political networks, or work alone. The political situations are well highlighted in the monthly newsletter, through which you can get the updates and follow to the new pages in this network. Most importantly, it is easy to forward it to your friends and the people you trust to encourage them to join you at the HOA Political Scene. If you were looking for political changes and you are eager to share active role in these changes, you must subscribe to the HOA PoliticalScene Newsletter and join one of the HOA's Comprehensive Projects. Please enjoy browsing HOA Political Scene by choosing the suitable category / site map or section and take the late news from the HOA Political Scene Blog and the HOA news. The main categories or the primary site maps are sectioned on the Political Section and the Political Site Map to organize the Horn of Africa's Political Scene and to ease your navigation while going deep into this website. There are about 33 primary and secondary site maps in the HOA's network, you can go through them below. This is the downstairs area or gateway even to pages that are not on the navigation bar at the left column or on the navigation bar at the bottom. You can use the search box at the third column to reach those pages. This is the best way to keep following the political development and some political analyses from some people who have been there, seen that and absolutely know some secret agendas. Site Map 29: Horn Africas Journal| Site Map 30: Horn Africas Newsletters| Site Map 31: Horn Africas Bulletins| Site Map 32: Horn Africas Ezines| Site Map 33: Horn Africas Political Newsletters| Site Map 34: Horn of Africa's Journal. الصفحات العربية علي موقع المشهد السياسي للقرن الافريقي عديدة وهي تشمل مقالات سياسية تشتمل بدورها علي نقد واضح للسيلسات التي آلت بالفرن الافريقي الي الوضع المزري الذي يعيشه كما تشمل مقالات ثقافية وادبية وقصص قصيرة واشعار عربية. You can follow the political situations when you subscribe to our monthly newsletter. The form is also on this page and it's almost on all the pages in this website. If you liked this website, please Forward HOA PoliticalScene to your friends using this simple form here. When you do, please encourage them to subscribe to the newsletter, like and tweet the blog. Thanks. We at the HOA's Political Scene thank those people who contribute to this network and take efforts to bring some political issues to the light for discussions and enlightenment. When you take part and share your efforts here, you will help people that need it. Your contribution also works well to fundraise some of the important projects we have in this network. If you want to contribute to the HOA Political Scene and have pleasure, just fill the form in the relevant page to your topic. Please be responsible when you do that and respect others. Don't use hard language here in this network. We hope that we get to know each other through moderate discussions and try to meet some requirements to develop our world there. If you think that I have forgotten something you want me to cover here, please do bring my attention to it through the Contact Us form here. 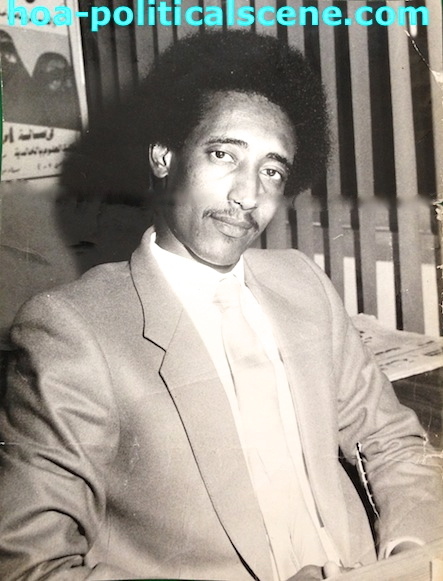 I love to hear your thoughts about the Political Scene in the Horn of Africa. Well, you can share HOA Political Scene through the small buttons at top left, top right, or at the bottom with your social media services. Important Note: You may read few commentaries on the HOA Political Scene at the second section of the page below the comments form. Please, always scroll to check there for new entries, or to reach some of the site maps on the HOA Political Scene. ** I build this website using the following strong website building and optimizing tools here. I really love them because they make the technologies and building my journalistic profession online so easy.